Sometimes simple is best. You don’t always have to spend hours upon hours on your hair to get an elegant look for a special occasion. Here 5 simple ways you give your hair the perfect finishing touch (some of these style ideas can be done in minutes). The exposed bobby pins trend allows you to get really creative using a commonly used hair accessory.Use bobby pins to create beautiful patterns that give your hair the perfect hold. Sometimes, you have to fake it until you make it. Get the volume and length you desire in minutes using clip in hair extensions. Xotica Hair, is the brand that this girl is wearing in the above photo. 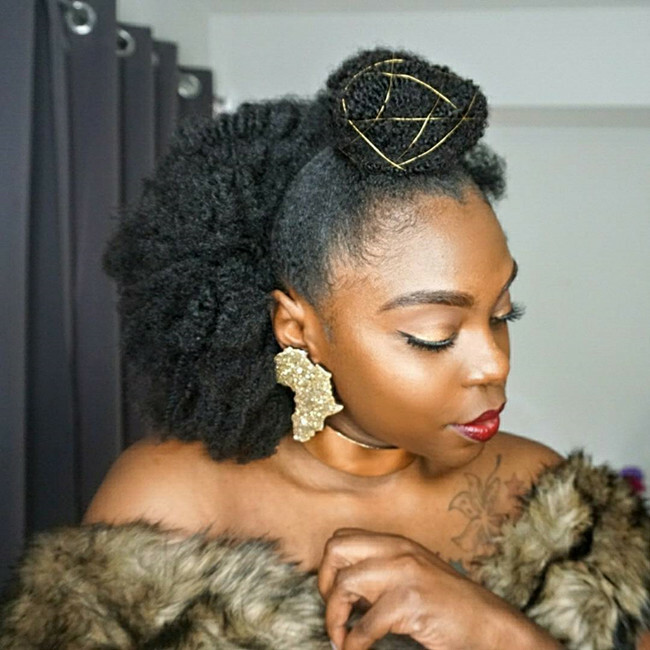 It mimics the look of natural hair textures making for the perfect match. To add something extra to this look, gold metallic thread is used to adorn the top knot in this style. 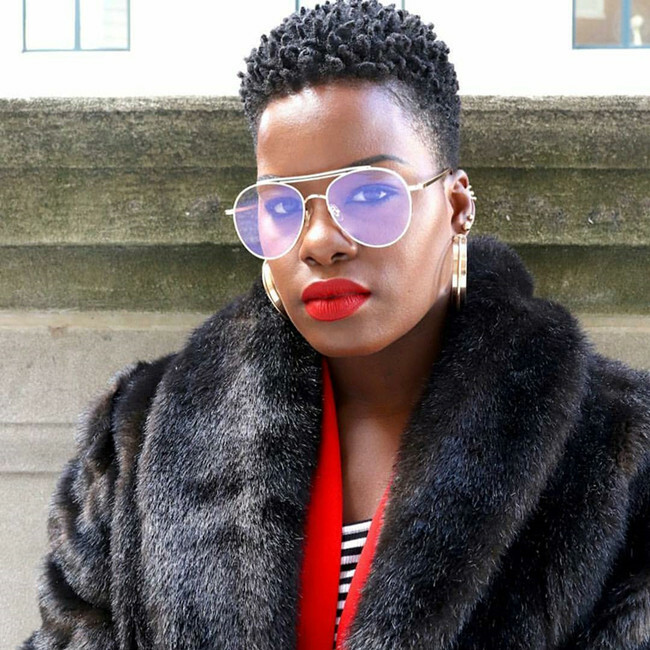 Just because your hair is short doesn’t mean you can’t get stylish. 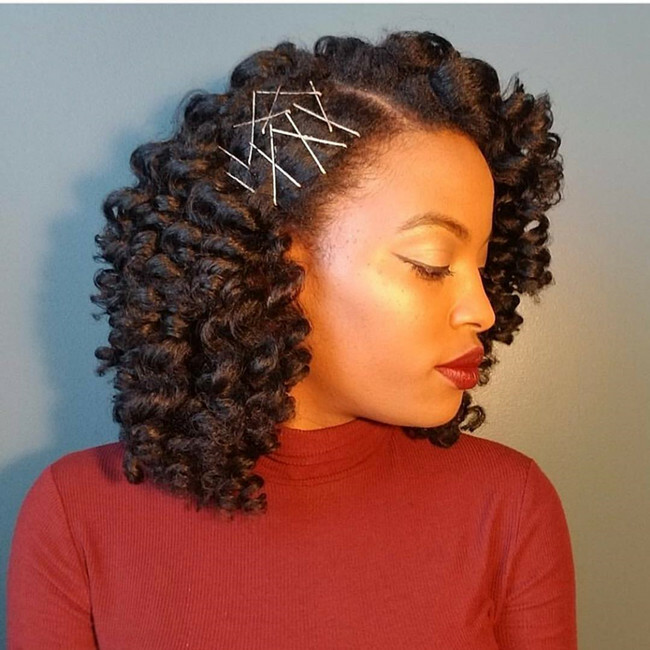 Finger coils are an easy way to give your hair that extra pop for special occasions. 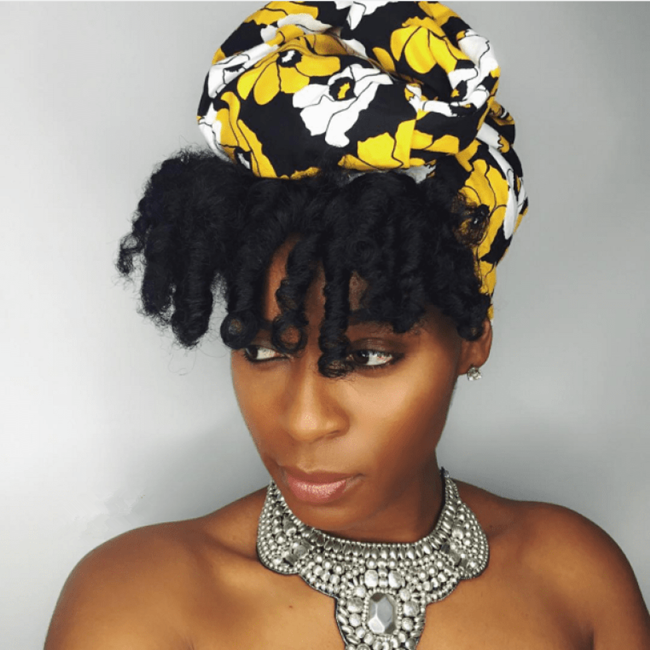 You also have the option of undoing the coils for a curly look that will last you some time. 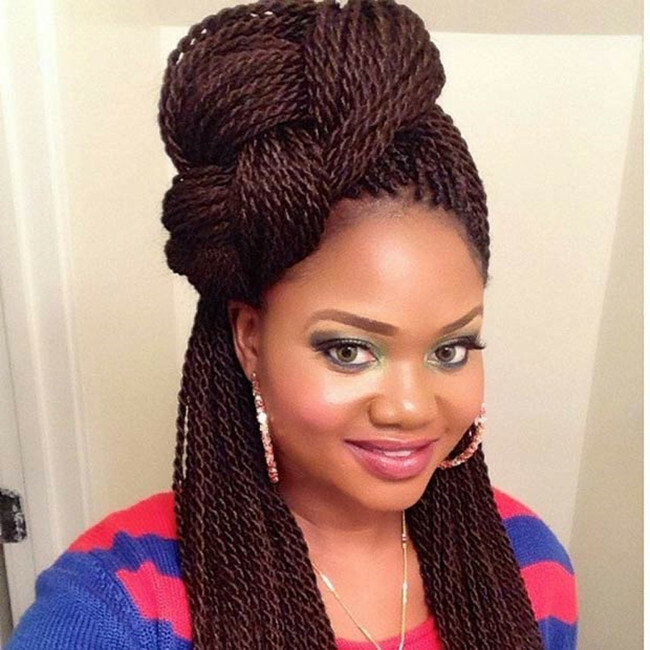 Wearing braid or twist extensions? An updo is a great way to transform your hair for a special event. Make sure you have some large sized stretchy headbands and you are good to go. To jazz things up some more you can use some hair jewelry.